One of the best artists working in Charlotte right now is John Hairston, Jr. His work reminds me of John-Michel Basquiat but more dynamic and accessible. They have similar aesthetic sensibilities particularly with their graffiti elements and paint drips. Basquiat explored themes of iconography and race using imagery from literature and high art. Hairston explores similar themes but uses images from popular culture. Same ideas, different lens. 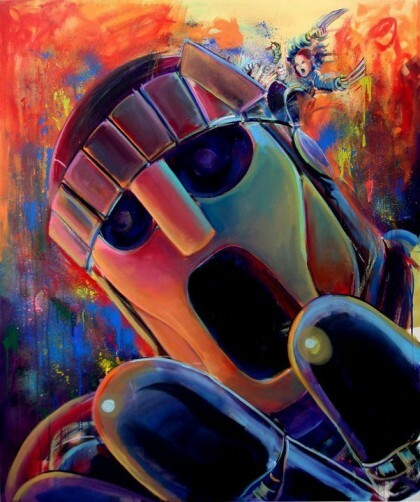 Hairston’s new art show, Children of the Atom, opens tonight at the Baku Gallery. It is superhero themed and features all new works. 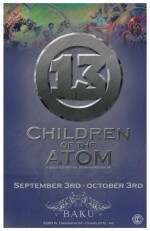 If you bring school supplies you get a limited edition Children of the Atom print. Hairston deserves a lot more press than he gets, but I was glad to see that Creative Loafing did an article about this show. He seriously deserves a lot more attention and praise. His work is amazing. Do yourself a favor and spend an evening in NoDa admiring the art work of John Hairston, Jr. That way when he blows up, and he will, you can say that you knew him way back when.